Yaa Akosa Antwi, PhD (Applied Economics and Management, Carnegie Mellon University) joined the Johns Hopkins Carey Business School in 2016. She is an Assistant Professor in the research track with expertise in the areas of health economics and policy. 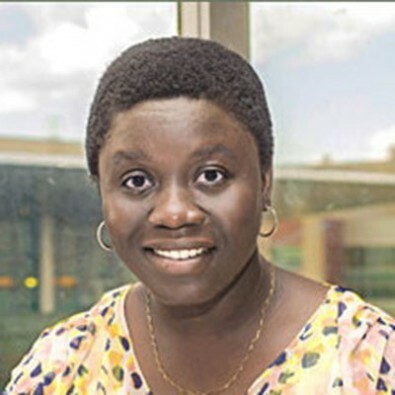 Prior to joining Carey, she was Assistant Professor in the Department of Economics at Indiana University-Purdue University Indianapolis. "Medicaid Coverage for Births after ACA’s Dependent Coverage." (2015)(with Jie Ma, Kosali Simon and Aaron Carroll) New England Journal of Medicine 374(2), 194-196. “Effects of Federal Policy to Insure Young Adults: Evidence from the 2010 Dependent Coverage Mandate” (2013) (with Asako Moriya and Kosali Simon) American Economic Journal: Economic Policy 5(4): 1-28. "A Bargain at Twice the Price? California Hospital Prices in the New Millennium,"(2009) (with Martin Gaynor and William B. Vogt) Forum for Health Economics & Policy: Vol. 12: Issue 1 (Frontiers in Health Policy Research), Article 3. "The Impact of Income on the use of Medical Care: Evidence from the Social Security Notch Cohort"